As Geordie Shore returned to our tv screens last night, I thought that it would be apt to feature a NOTD post which would fit in quite nicely with some of my favourite reality tv shows. Ironically I’ve found this NOTD review already wrote up in my drafts, which fits in quite well with the influx of new reality tv shows starting this week (towie I’m on about you). 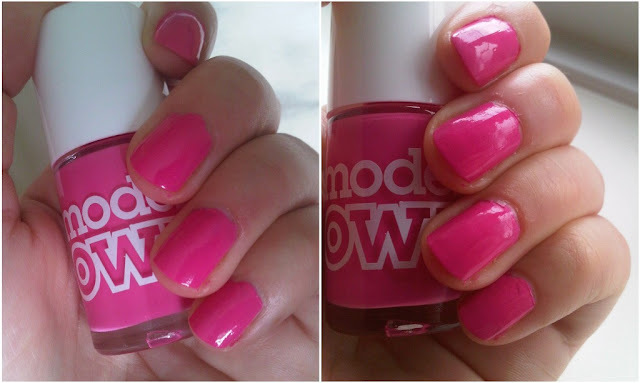 Also this notd post is in the old format (ie no photos of the polish before removal). If, like me you are an avid viewer of reality tv shows, you will have noticed one common theme throughout them all- bright pink manicured nails. I’m talking Barbie pinks- the brighter the better. For years I’ve been on the hunt for a bright bubblegum pink for my nails, and I think I have finally found my HG. If you are in a rush and you want to paint your nails- this is the polish you need. One coat!! Yes my nails have one coat of polish- how brilliant is that. Like all Models Own polishes the colour pay out is fab and the drying time is no more than 15 minutes max. Personally I would say this is more of a holiday/summer shade and will look fab on both your fingers and toes. This lasted approx 5 days on my nails without any chipping, and the colour is as vivid as it was when I applied it when taking it off. Definitely worth the £5 pricetag. Oh and as for those who want some bright pink inspiration keep a look out for the Kardashians, Olivia and Tracey from Jerseylicious, J-Woww from Jersery Shore, the cast of Towie, and finally Holly and Sophie from Geordie Shore. 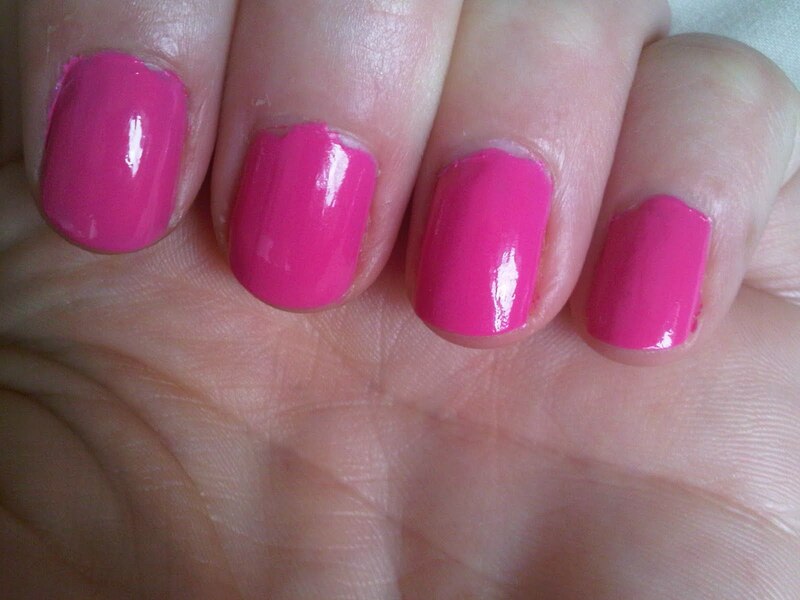 Bright pink polish is not my thing. However I'm totally with ya with models own varnishes! !